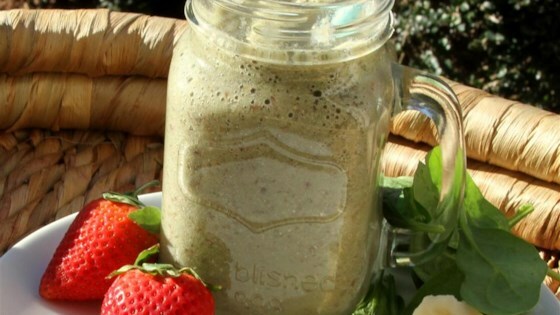 "A great breakfast smoothie to pair with some toast and coffee." Layer banana, spinach, mixed fruit, flax meal, protein powder, chia seeds, and matcha powder in a blender in the order listed; add enough water to cover. Cover blender and blend until smooth. See how to make a rich and creamy fruit smoothie with no dairy. Refreshing and fruity with some superfood nutritional benefits! After tasting it, I added a little stevia.